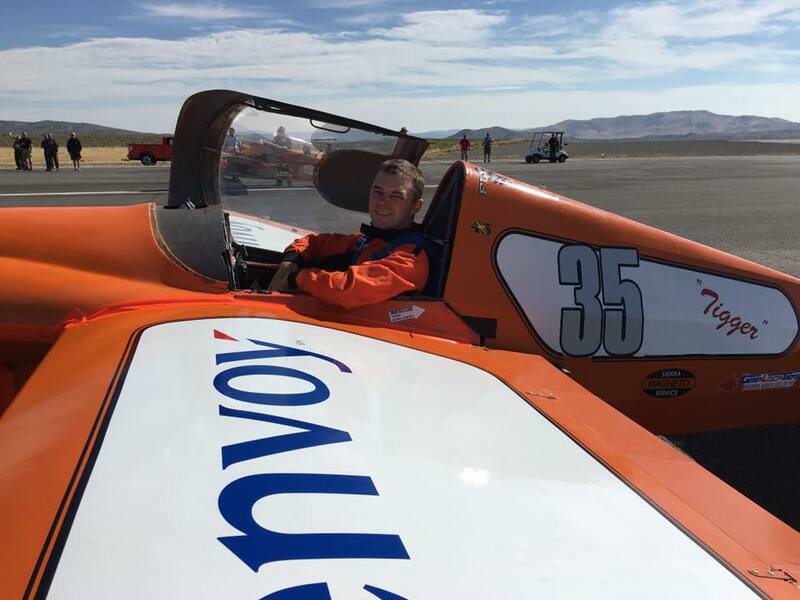 The last time we heard from Envoy First Officer Joseph Clark, he was preparing his racing plane “Tigger” for the 2017 Reno Air Races. Well, he’s back and is carrying new hardware. Last year, Joseph placed 6th overall in the Formula One race. This year, he flew by the competition and placed 2nd, beating out more experienced pilots with more expensive planes. 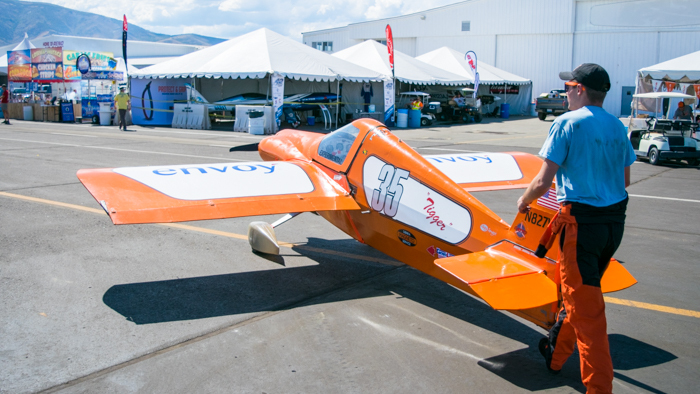 On day one of the Reno Air Races, Joseph was scheduled for his first race at high noon. 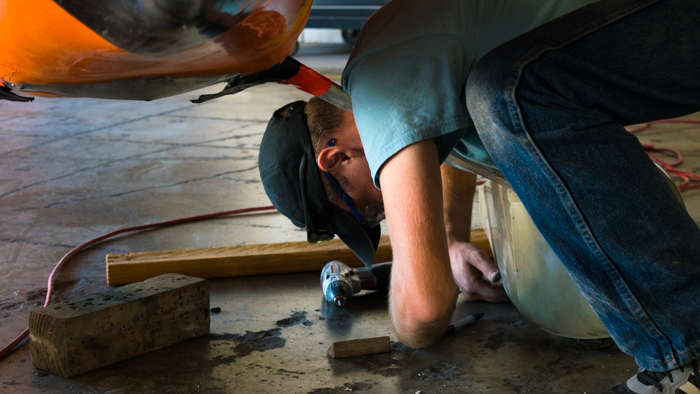 In the hangar full of other biplanes and Formula One racers, Joseph was still putting the finishing touches on Tigger. FO Joseph Clark attaching “wheel pants” to his plane before his first race of the week. Against all odds, on only his second major race and still handling all of his own modifications, Joseph still managed 2nd place. More amazingly, the only racer in front of Joseph topped out at 221 mph, while Joseph’s orange Cassutt-III aircraft reached 163 mph, which is pretty remarkable considering his plane is such a hodge-podge mix of parts, paint and tape. In his first race of the week, Joseph qualified for the third spot in the race and stayed there. He’s such a consistent pilot racing “on a wire” that he neither moved up or down in the race. After the race, a handful of older, more experienced pilots would approach Joseph to shake his hand and commend him for his top-notch flying. As young and inexperienced as he is, other pilots could sense that he was the real deal – works on his own plane, pays for it himself and manages to outsprint the competition. Through the course of the week, Joseph made little modifications here and there to reduce drag and gain speed. He taped up gaps in the fuselage, sanded down the paint and attached “wheel pants” over his wheels that make his plane more aerodynamic. By the end of the week, Joseph was pleased with his performance. You can read below a short Q&A catching up with Joseph to discuss the race, Tigger and plans for next year’s race. Joseph and Tigger holding steady in the week’s first race. What was your overall assessment of how you raced this year? I am happy with the way that both the aircraft and I performed. The airplane ran well and we didn’t have any mechanical issues during the races this year. I was able to start my races well and maintain a smooth race line all week. 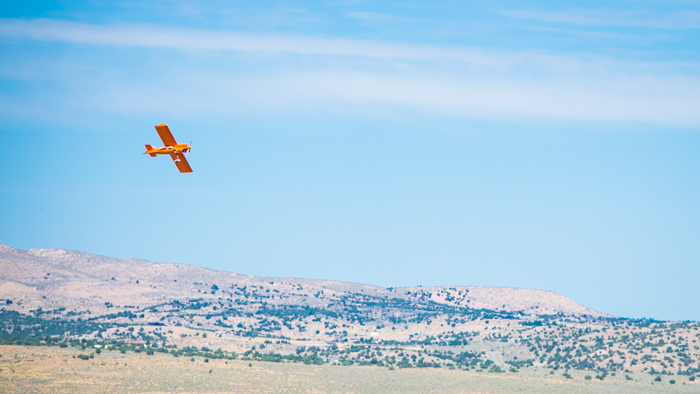 Any stand-out moments from the Reno Air Races? This is the first year I brought any sponsors with me, but I think overall it worked well. We had several new planes show up to race this year, so our class is growing. Several of the new planes were piloted by first time racers who are good friends of mine. 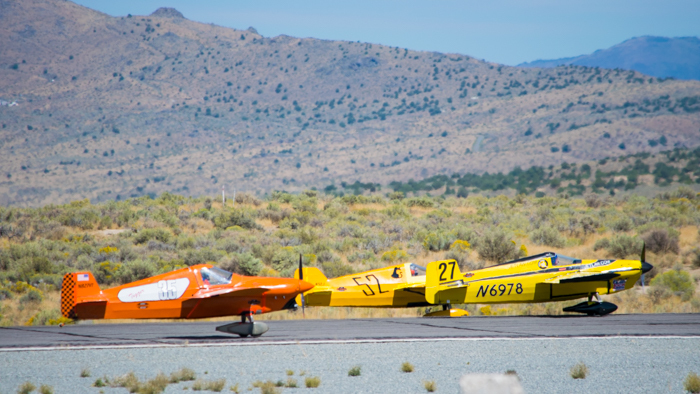 Tigger lines up on the runway before a race in Reno. What’s next for modifications on Tigger? How much faster do you think it can get? This year, I’m planning on cleaning up drag on the airplane. That should get me 20-25 mph faster. If I have time and money left, there is a lot more speed to be had in the current configuration (around 40 mph more than this year). 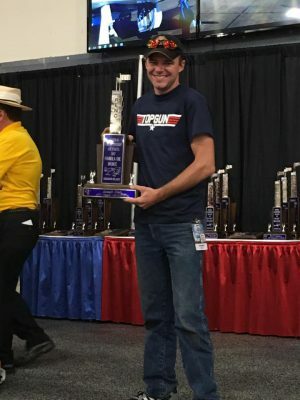 Your plane is much more of a work-in-progress than most of the finished products racing in your class, but you still manage to place well and earn respect of other racers – can you speak to that a little? I’m trying to clean up the looks on the airplane as I go, but I would rather put my time and money into speed and reliability than a pretty paint job. I also do most of the work myself. I occasionally have some help from friends, if I need advice or an extra set of hands to lift something, but I only have a pit crew at the races. I have found that even if the progress is slow, if you do the job right, the results are much better than doing a lot of things at the same time. 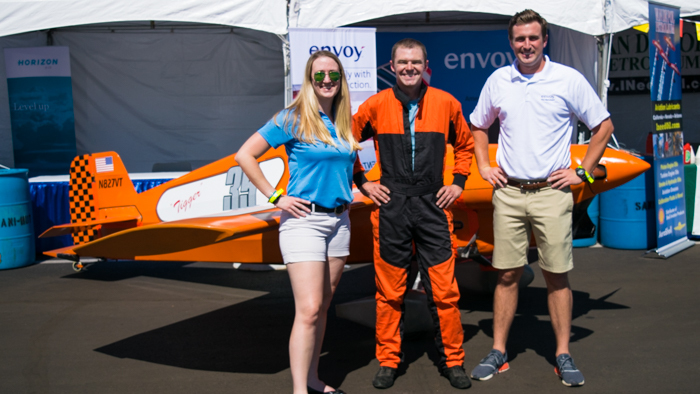 Joseph (middle) poses with Envoy pilot recruiters CA Jessica Hines (left) and FO Harrison Scott. Our class is very much a large family, the respect I have I think I’ve earned by helping my friends get what they need, and they return the favors. “The little plane that could” isn’t too far off. Both the airplane and myself have come a long way since I bought it. As I make the airplane faster, my skills to fly it increase. The speed of the airplane doesn’t matter much in a race if the pilot can’t keep up with it.